Removing the maximum amount of plaque takes firm, consistent pressure, which cannot happen if your brush is past its prime. A worn-out toothbrush is harder to clean. This means it’s more likely to contain the same kinds of germs that brushing is supposed to remove. An older toothbrush is harder to hold and less comfortable to use than a newer one. This means you’re less likely to use it. It’s for these reasons that dentists recommend replacing your toothbrush every 3-4 months are whenever the bristles become frayed. But this is just a rule of thumb. You should replace it more often if you’re cavity-prone or if you’ve been sick. Children should replace their brushes more often than adults, because they tend to brush their teeth more vigorously. Consider your oral profile. For example, people with larger teeth should use a brush with a bigger head. Those with sensitive teeth may want to choose a product designed with this fact in mind. Stick with soft bristles unless your dentist recommends otherwise. 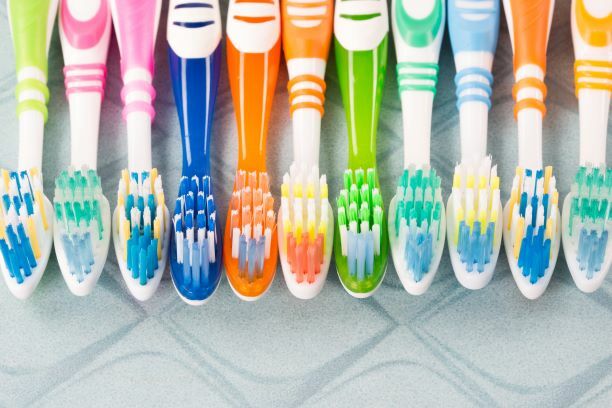 Hard-bristle toothbrushes can damage the protective enamel on your teeth. Look for the ADA seal of acceptance on the packaging. This is important for getting the best results from the brush. Consider an electric toothbrush. Many people find that these products are worth the extra expense, both in terms of brushing experience and the results gained. Unsure of which brush to choose? Ask your Mansfield dentist to recommend a brand. After all, he or she understands your dental needs better than anyone else. Clean the toothbrush in plain faucet water after each use and keep it away from other brushes. Otherwise you risk cross-contamination. Never share toothbrushes. Germs that get along just fine with your partner may not feel the same way about you. Store your toothbrush in an open air setting, not in a closed capsule. Trapped moisture may promote mold and bacteria growth. Much of dental care is about minding the little things. So check your toothbrush today and, if it’s passed its prime, upgrade to a new model. This small investment can pay big dividends in terms of healthier teeth and gums. Dr. Sandi L. Hamm earned her DDS degree from Baylor College of Dentistry. A member of the American Dental Association and the Texas Dental Association, she has been practicing dentistry for over 30 years. You can reach her office online or by calling (817) 477-4441.